Here’s a site that I wish I had for the ten times that I’ve moved during my lifetime. Something to note though, it’s only available for those moving from NYC right now, but the team promises that more options will be available by the end of the year. 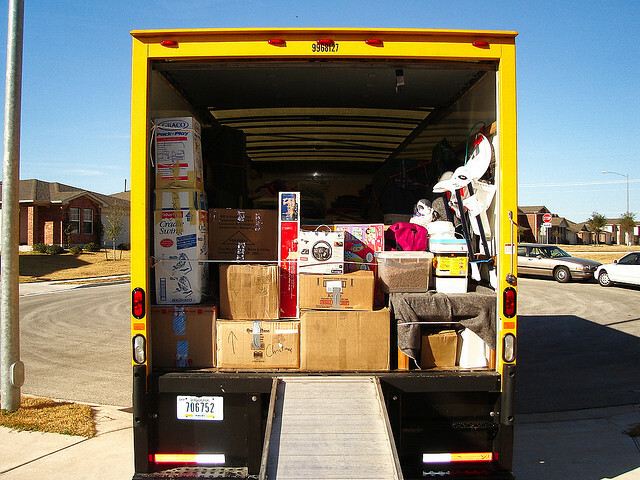 Unpakt helps you decide how many boxes you need and figure out how much it will cost to move all of your stuff. Take it from me, this process is one of the most grueling things you’ll ever go through. Existing “box calculators” are always incorrect when I’m trying to nail down how many boxes I need and how much things cost. With Unpakt, you can choose all of your household items from an existing database, which gives your target number of boxes and moving cost a more accurate estimate. Making calls to hire movers could be a thing of the past, and for that fact alone, I’m digging Unpakt. Maybe you don’t need to keep that old couch after all, since selling it for a few bucks on Craigslist and grabbing something new once you settle in might save you money in the long run. Put in all of those details and you’ll get a list of movers to choose from. If you need to give them a ring with special questions, you can do so at that time. What I like about Unpakt is that it educates you about the process, and the final cost, all along the way. The only negative here is what I mentioned before, that it’s only set up to move you from New York City to a destination at the moment. I sincerely hope they speed that up, otherwise a competitor like TechStars’ Moveline could eat their lunch.